Fresno Yosemite International Airport's new check-in concourse is spacious and allows passengers to be processed quickly. The security area at Fresno airport is spacious with plenty of room for additional passengers at rush periods. 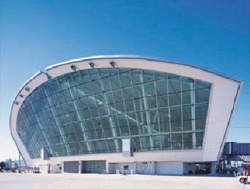 The terminal, which was completed in late 2002, is a mainly glass structure that makes full use of natural light. The exterior of Fresno airport's terminal has a contemporary design. The information system was a great boost for passengers using Fresno Yosemite airport. 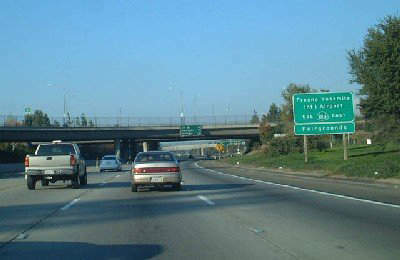 The Fresno Yosemite International Airport is easy to reach from the motorway. Fresno Yosemite International Airport, formerly Fresno Air Terminal, is a public airport located in south-eastern Fresno, in Fresno County, California. The airport was built in 1962 and the name was changed in 1995 in order to attract visitors to Yosemite National Park. Fresno Yosemite airport is 92 miles away from its namesake Yosemite National Park in Fresno, California, US. The airport covers an area of 2,150 acres, and has two runways and one helipad. Fresno Yosemite is the major air transportation facility for the San Joaquin Valley, with major air carrier service to airline hubs throughout the western US, as well as direct international flights to Guadalajara in Mexico. "Fresno Yosemite International Airport covers 2,150 acres and has two runways and one helipad." The airport operates a modest number of commercial flights with the long-standing MD80 service to Dallas, Texas, on American Airlines and Frontier (ending flights to Denver in June 2007), and US Airways operating Airbus 319s five times a week (commercial services are mostly smaller regional aircraft). The majority of air traffic in and out of the airport is private aircraft. Only 7% is commercial, 6% military, and the remaining capacity is private. The airport recorded 199,209 aircraft movements in 2010 and a passenger throughput of 569,879. 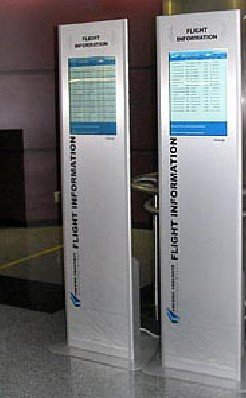 Fresno Yosemite was the first airport in the US to install a web-based, wireless system, PASSUR flight information display, to list active flight arrivals and departures. The category IIIB landing system is one of the most sophisticated in the US. WiFi access is available throughout airport. Despite the perceived lack of commercial business, Fresno Yosemite International Airport was designated an ‘international point of entry’ in 1988 by the Federal Aviation Authority (FAA), making it eligible for international flights (Canada and Mexico). Since then, even through the terrorist events of 2001, the airport has seen development and improvement. In 2002, a new two-level concourse building was completed, and in early 2006 the construction of a new federal inspection facility was finished. 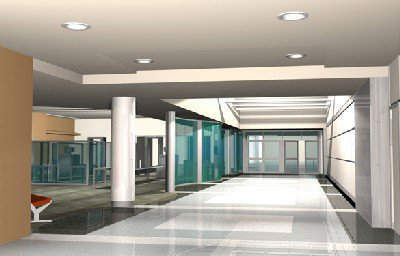 Terminal modernisation and improvement work worth $17.2m was completed in May 2010. This covered a new security screening point, expanded entrance and exits to and from the security and boarding gate areas, and an expanded baggage claim area. "The majority of air traffic in and out of Fresno Yosemite airport is private aircraft." The $27m consolidated car rental facility began in 2008 and was completed in 2010. CSHQA Architects of Boise, Idaho, carried out the car rental facility and security improvements. The new facility was designed to protect passengers and cars from the weather. This is an important investment as the airport receives 10% of car-rental revenues, which translates to approximately $3m a year in user fees. Car rentals, concessions and parking provide 45% of the airport’s $12.5m annual income. Most of the remainder comes from gate fees paid by airlines. In September 2011, the airport received $35m from the airport council for long-range airfield enhancement plans, which include runway reconstruction and ramp construction work. The first stage involves reconstructing the ageing commercial aircraft apron and taxi lane, at a cost of $5m. This construction will be completed by February 2012. Widening, lengthening and strengthening the secondary runway, at a cost of $30m, began in November 2011 and will be completed in October 2012. Fresno Yosemite International Airport’s rehabilitation and expansion programme included an outbound baggage-handling centre with 100% in-line baggage screening, ticket lobby remodel, Transportation Security Administration (TSA) security checkpoint relocation and expansion, and a baggage claim remodel and expansion using FAA Federal funds. Project goals included improving the facility to comply with TSA security standards and guidelines, and adding capacity to passenger/baggage flow systems. This complex project improved the airport’s image and passenger experience. The project also involved the installation of a new high-definition CCTV surveillance system to monitor security at the airport. Passengers moving through the security checkpoint at Fresno Yosemite International Airport are scanned by a system called PelcoMatch, which uses Pelco cameras and Identix’s Visionics facial identification technology. Facial scanning is voluntary for passengers, who still pass through metal detectors and undergo other security checks. A three-phase expansion programme was instigated at Fresno Yosemite International Airport in 1990. The project was undertaken in an effort to attract more air traffic to the airport. 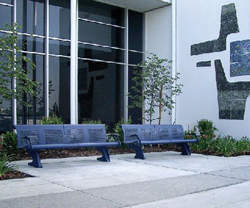 Phase 1 was completed in 1993 and involved remodelling the main lobby and terminal for $6.5m. In the $4m second phase, the concourse was remodelled, the passenger paging system improved, lockers updated, and cooling, heating, ventilation, fire protection and security systems. "In 2002 the $55m, two-storey concourse was completed marking the final phase of the three-part expansion." 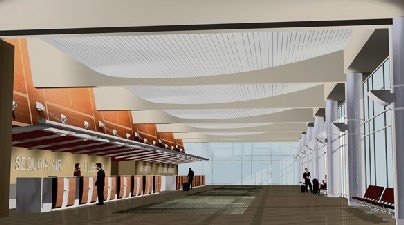 The third phase ($20m) involved the construction of a new building at the end of the concourse to handle six jet ways and enclosed bridges, increasing the number of airport gates from 14 to 19, doubling the capacity of the airport parking lot to 1,400, and relocating the main entrance of the airport. In November 2002, the $55m, two-storey concourse was completed, marking the final phase of the three-part expansion that began in 1988. The concourse has four passenger loading bridges, an expanded food court, a business centre and a children’s play area. The expansion costs were funded through a combination of retained earnings, Passenger Facility Charges and FAA Airport Improvement Programme grants for eligible portions of the work. One of the products used in the concourse’s design was a Vistawall vertical curtainwall (with a silver Duranar paint finish). Duranar extrusion coatings are formulated by PPG Industries. Forms and Surfaces provided some of the external fittings for the terminal building. The completion of the third phase increased the airport’s capacity from 1.1 million to two million passengers a year. Carter & Burgess was the design consultant for taxiway rehabilitations and reconstruction projects in 2005. The team was involved in the design of the taxiway, airfield lighting and drainage. The first assignment was the rehabilitation of several taxiways including taxiways B6, B9, B10, C10, B12, and C12. Also included were the design and construction of midfield air cargo taxiways, a midfield air cargo apron, airfield drainage improvements and a midfield air cargo access road. Additionally, Carter & Burgessis developing the airport’s computer-aided design standards.